This week's gallery is 'a younger me'. The clock was wound up once a week, the keys were kept in a special place and it had to be exactly the right amount of turns. I don't remember how many, but I remember counting. The pattern on the curtains was a raised velvet. I wasn't supposed to rub it. 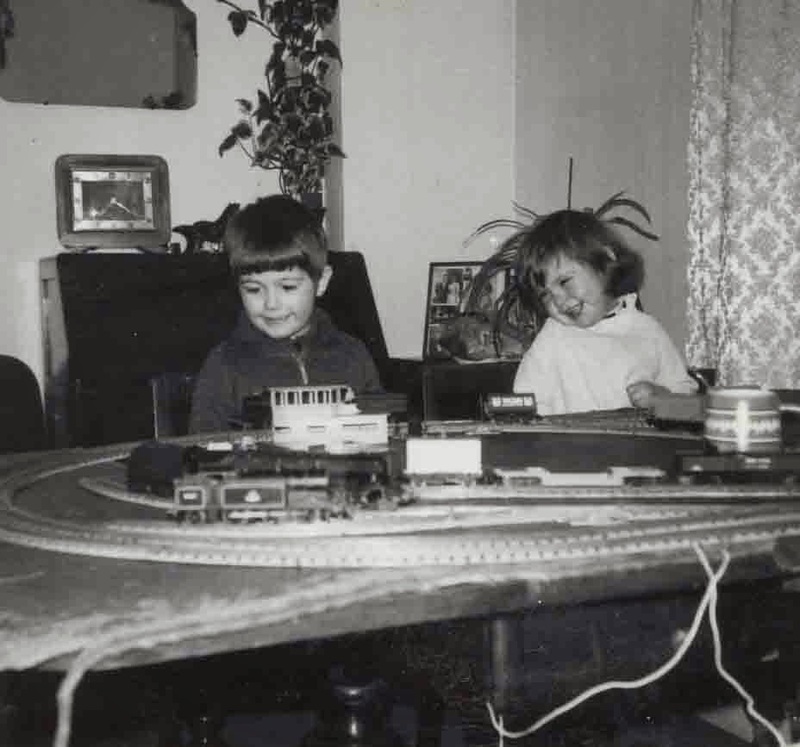 I'm wearing an apron of some sort, so I guess we had eaten, but with the train set on the table, I wonder whether I had to sit in the kitchen to eat. I was always colder at the kitchen table and the stools never felt as safe as the chairs at the proper table. But opposite the kitchen table were the cake tins. A stack of 3 fawn coloured circular tins, the lid for one made the base for the other. The top part, with the dome lid, had fondant fancies in. If I was really lucky a yellow one with the brown stripes.